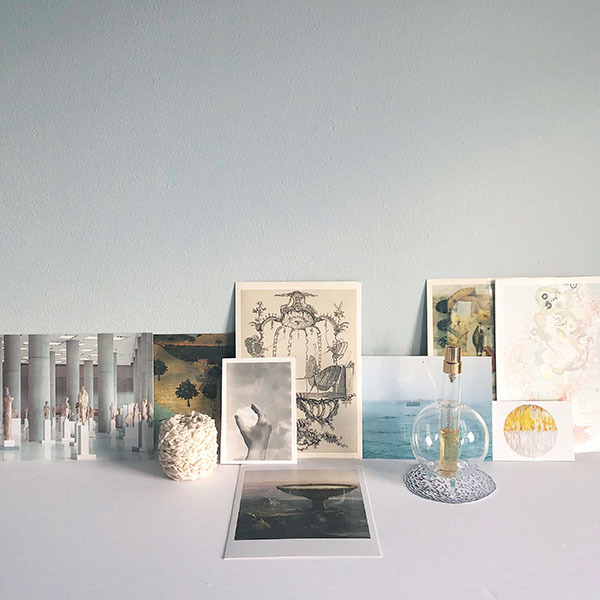 Seasonal news – from my Brooklyn studio to upcoming events in NYC and beyond. I am excited to share that I am currently working from a new space in Bushwick where I can finally delve back into work that has been in storage and will be re-visited as part of ongoing materials research and textiles experimentation. I will share more images of work-in-progress, but the excavation of these layers has been energizing as March concludes. During the month of April, I will be finalizing the edits for a print folio featuring select images from Walking Libraries (2016-2018). 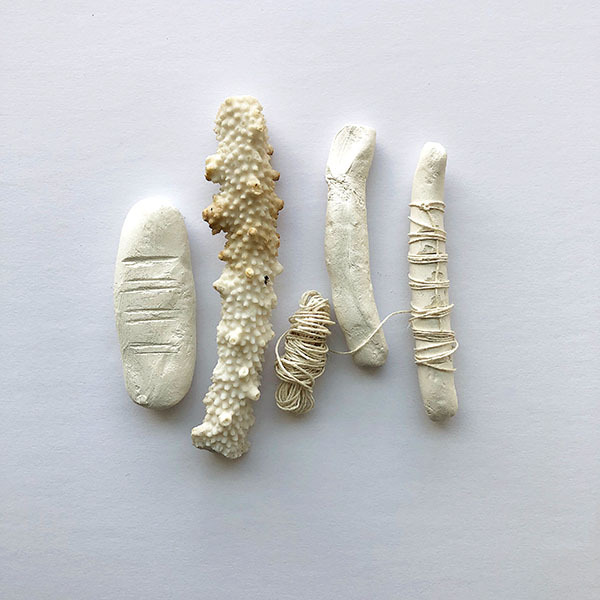 It is wonderful to review this work in great detail as I transition to creating hand-formed clay 'traces' of some of the artifacts and found forms. May is design month in NYC, and I am thrilled to share that last year's, In The Steps of Folly Cove at Russell Janis Gallery, will take on new life in the showing of Folly Cove Follow Up, a textile print and design upholstery exhibition co-curated by Annie Coggan and Janis Stemmermann. There will be an opening and auctioning of the final pieces on Saturday, May 12, 2018. Previews to come. I am also finally closing in on the final details for a commissioned scent created by Beau Rhee of Atelier de Geste. June 2018 is our goal for releasing this olfactory art edition of atmospheric tools inspired by two seasons. The project has evolved slowly, mirroring both Walking Libraries (2016-2018), as well as conversations regarding sustainable bodies and movement. I look forward to sharing this new initiative embedded within my evolving studio practice and the subsequent feedback from my community. And lastly, I am working diligently to update my artist website as well as Lost in Fiber | agency's archive and news, as the second half of 2018 will be focused on outreach initiatives in NYC as well as pockets of rural Europe. 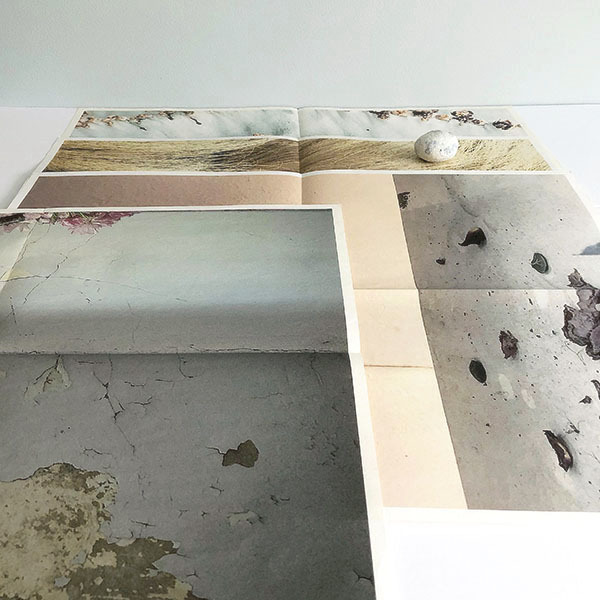 Day to day updates on projects and process/materials investigations are always viewable on Instagram via Abigail Doan Studio and Lost in Fiber | agency. Sending fresh spring wishes and trails of inspiration to all.